Welcome to the Rubaroc Newsletter! We hope you enjoy learning all about the current news at Rubaroc! 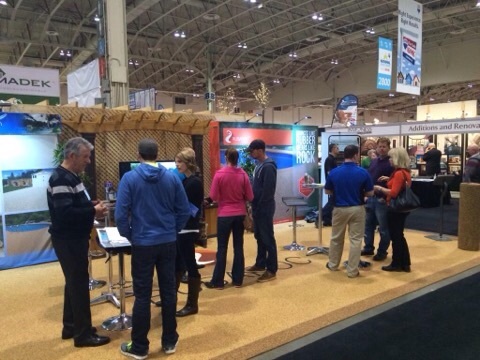 It has been a very busy start to the 2015 Rubaroc season! We are happy to announce the addition of 16 Authorized Rubaroc Installers in the USA & Canada. The April Installation Training session is fully booked with eager future Rubaroc Installers while May is filling up quickly. With an increase in awareness & demand of Rubaroc, business is booming. We are continually receiving shipments of our proprietary rubber & resin products. Purchase Orders are being processed and marketing materials are continually being ordered. To accommodate this influx, we have the necessary measures put in place to secure the growth of Rubaroc. We have two corporate offices, one in the USA & one in Canada, additional staff, depots and distribution centres. As we all know, communication is vital to the success of every business. This newsletter is one way we would like to keep everyone informed about what is going on with various aspects of Rubaroc. 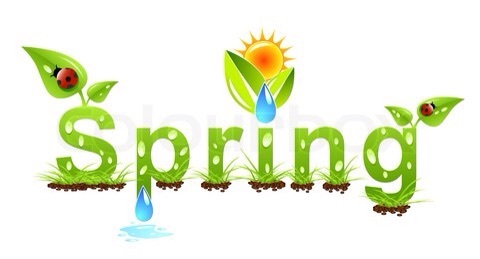 Spring is the perfect season for everyone to examine their property & enhance certain areas. We can all agree that installing Rubaroc is their best solution! With over 30 years of quality Rubaroc installations and a wide variety of applications, the possibilities are endless. Our beautiful, versatile, anti-bacterial, mould resistant, flexible, seamless and most important... non-slip feature, is growing in demand rapidly. Pool decks, walkways, patios, driveways, stairs, wheelchair ramps, golf courses, playgrounds & horse trailers are just a few of the many applications where Rubaroc is installed. To all of our current Installers, future Installers and entire staff, I would like to extend my sincere wishes for a prosperous Rubaroc year. Please contact any staff member with any questions or concerns. We are extremely pleased with the developments of our website. It is extensive, modern, informative, organized & interactive. All the facts are conveniently located in one site. The amount of information that is readily available about Rubaroc, our Installers and Upcoming Events is bountiful. Please check out our website at rubaroc.com to see for yourself! You will be impressed! Various applications include walkways, driveways and playgrounds. The official grand opening of the Rubaroc USA corporate office was held on March 27, 2015. 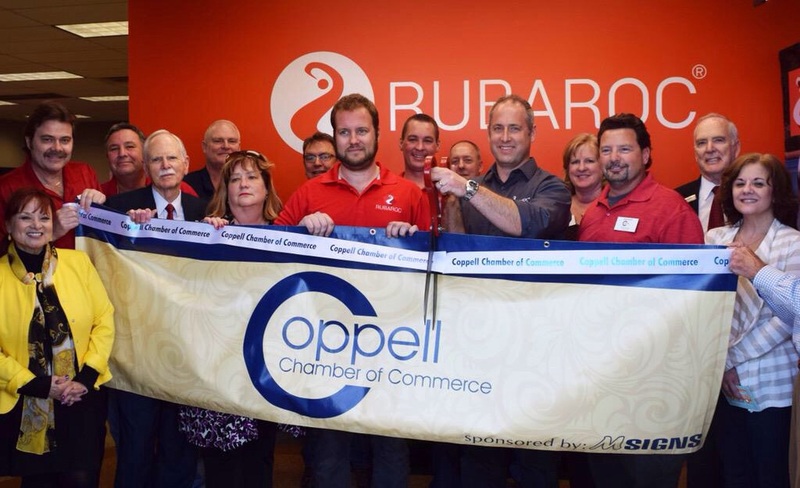 Congratulations on their ribbon cutting for the Chamber of Commerce! Well Done! Home shows are in full swing across North & South America. We can all agree that the spring home shows get all of us excited with anticipation of the upcoming Rubaroc installation season. Congratulations to all of our Installers who have already signed contracts for pool decks, patios, driveways, walkways, playgrounds and much more! To those of you who are running quotes or have booked home shows in the near future, good luck! To our trowellers & installers, keep up the fabulous work! Despite the recent cooler temperatures across our nation, many indoor Rubaroc installations were completed. 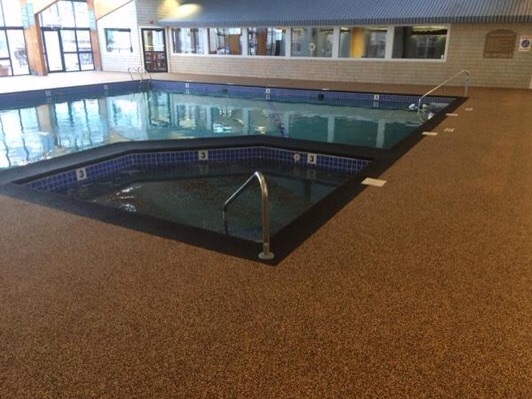 Indoor hotel pool decks, gyms, kitchens, washrooms & basements were beautified with Rubaroc. Let’s not forget to daily check the weather forecast for rain & proper temperatures for installations. To ensure we have our lines of communication open, please notify our offices with any changes to your contact information. Our aim is to ensure smooth transactions during our peak season and avoid any preventable hurdles. Social media is an excellent way to advertise ourselves, each other & spread the news with everyone! It would be very beneficial for all of us to be linked through twitter, Facebook & LinkedIn. We would highly recommend that you connect with one another if you haven’t already done so. It doesn’t take much to convince anyone about the benefits of Rubaroc. Once all of the facts are presented, Rubaroc is almost always the best solution! With over 30 years of quality & professional installations, advances in products, a wide variety of applications & abundant characteristics, Rubaroc is obviously a magnificent, proprietary product! Strength in Numbers is what we are! We all need to work together for the same final outcome…. quality Rubaroc installations. Installers need to place their orders with administration, Purchase Orders have to be shipped out by our distribution or depot centers, trowellers & mixers have to work in-sync and our support staff is here to guide you throughout your progress. Ensuring safety & adding beauty to another pool deck by installing Rubaroc! 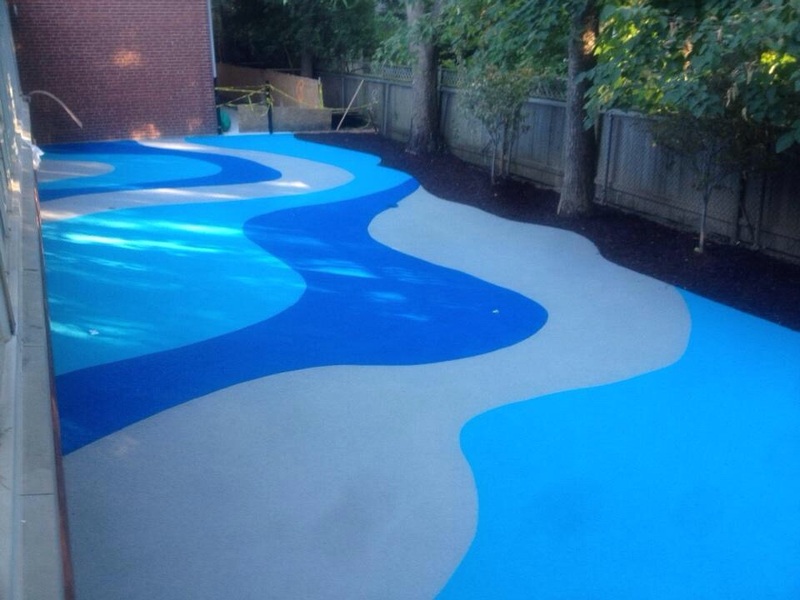 We would highly recommend that you purchase our UV Commercial resin for future installations. It is a fabulous, “all-in-one” resin that has exceptional drying time in the perfect conditions! UV Commercial does not require an accelerator & does not result to ambering. What’s even better is that our UV commercial is cheaper than UV Pro! More importantly, there has recently been a price reduction in the cost of our rubber! You can now purchase all our beautiful Classic Rubaroc colours for the same price! Don’t be afraid to get creative with colour! We will be highlighting several Rubaroc Installers in every monthly Rubaroc Newsletter. We encourage all of you to submit pictures along with information of projects that you have completed. You will be recognized for your work! Please forward your information to toula@rubaroc.com. 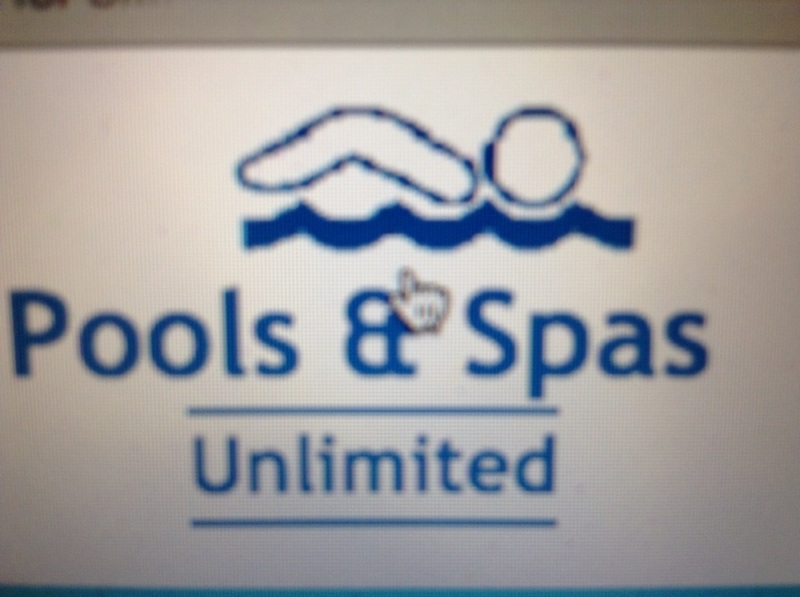 Mark Henderson from “Pools & Spas Unlimited” in Milford, Delaware is in his third year of Rubaroc installations! He has Rubaroc installed throughout his showroom & entrances. 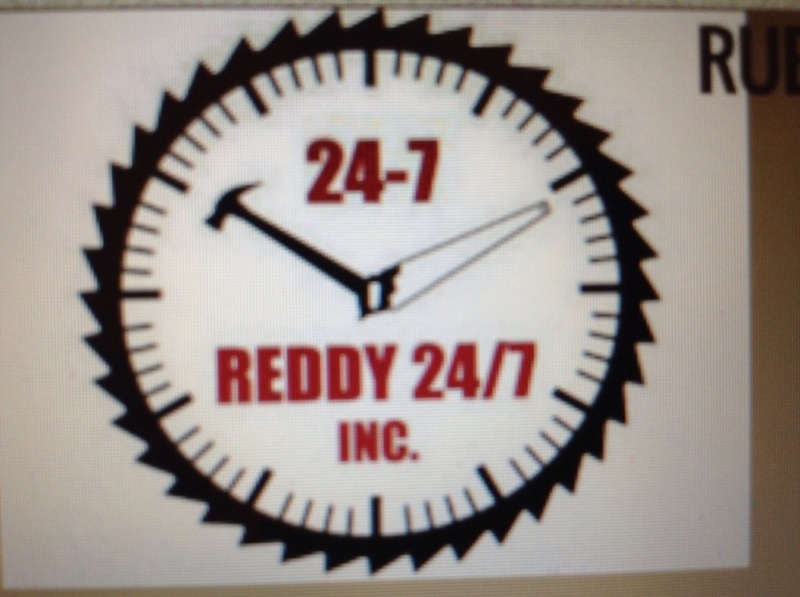 He has extensive experience in commercial & residential applications. Dean Binette from “Ready 24-7 Surfacing” in Salt Lake City, Utah is also in his third year of Rubaroc installations! Dean is also one of our first Installers to sign up in USA. With plenty of completed jobs & contracts signed, Dean is kept quite busy. Good luck to all of our current Installers for a successful 2015 Rubaroc year! Hope you enjoyed the April edition of the Rubaroc Newsletter! Please visit our website www.rubaroc.com for more information. Keep an eye out for the next monthly newsletter!